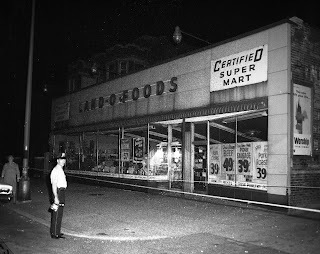 Front view of the Land-O-Foods store at 4102 N. Sheridan in Chicago, September 24, 1963. The roof caved in shortly after closing time. I don't think those hand-written grocery store signs have changed in fifty years, except for the prices.